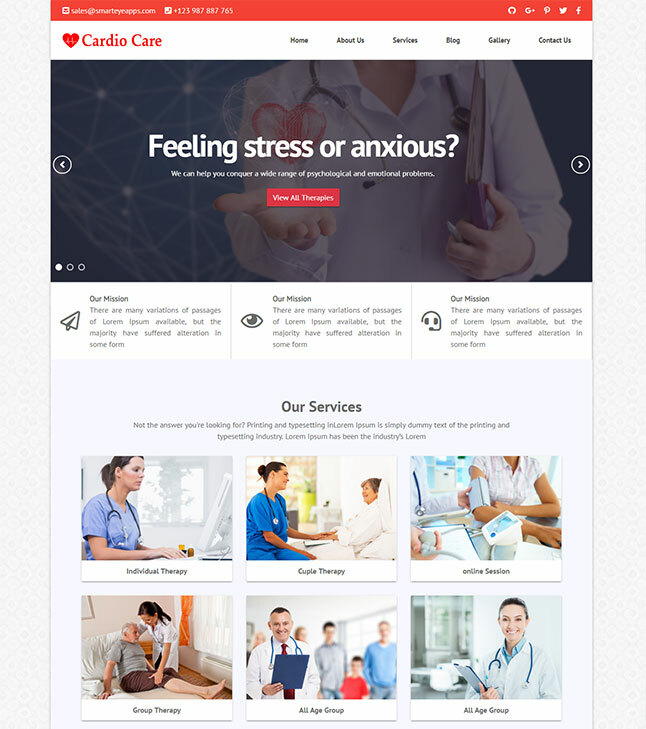 Download Free Cardiology medical hospital website template from smarteyeapps.com for completely free of cost. This template is designed with cardiology hospital in mind it can be easily modified and used for other hospitals and medical institutes too. You can also easily modify this template and used for other hospitals and medical institutes all components are well documented and designed with bootstrap4 components so you can easily modify this template, in addition, SCSS is used to create the style that makes your job even better and easy.